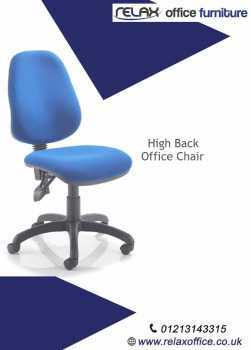 Sells new chairs RELAX OFFICE FURNITURE LTD, possible delivery and possible payment at reception: 64.80 GBP (77 EUR - 150 DEM) by unit. Perfect state. Quantity: 50. 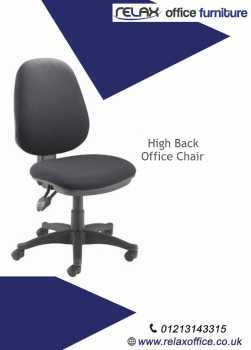 Sells new chair, price to be discussed. Perfect state. 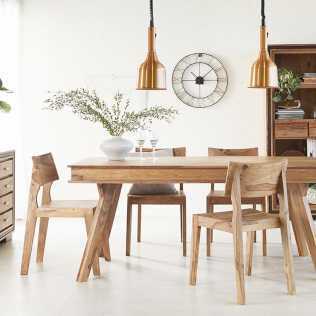 Cosmo Industrial Wooden Chair featuring wood and Metal made from reclaimed metal and wood, this Industrial wooden Chair will complement any surroundings. The Light grain Hardwood Left in its Natural state and color with natural variations and slight cracking with a banded iron edges. 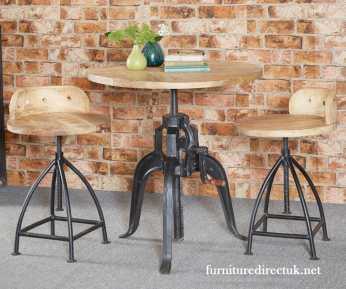 Ideal for use as Dining Chair for Buffet/Breakfast Bar or Occasional Chair featuring adjustable Height. Sells new cupboard, price to be discussed. Perfect state. 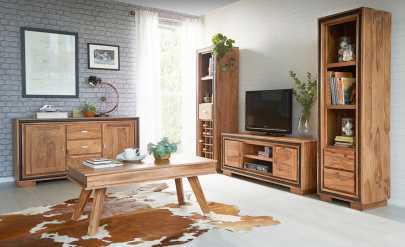 Jodhpur Furniture, a fine Sheesham Furniture Range consolidating Traditional Indian Style Furniture with Contemporary Design Sheesham Wooden Coffee Tables, Side Tables, TV Stands, Sideboards, Bookcases and More! India is the home of an amazing assortment of traditional crafts. Customary handicrafts convey with them hundreds of years of expertise that has woven enchantment into the themes and plans utilized. The Diverse Indian Culture, Lifestyles, Traditions and Geographical Conditions, all have contributed towards this completely divine art. Proposes service, 9.00 GBP (288 CZK). Working language: english. Second working language: french. Journey: by foot only. I am au pair in Saint Pierre du Bois and I'm lookink for the cleeaner or babysitting between 10 o'clock to 15h30 every days of the week. I speack French and I learn to speack English here with the English lesson also. Proposes service, 50.00 GBP (63 USD). Working language: italian. Second working language: english. Journey: in public transport. Proposes Individual lesson, 50.00 GBP (1,601 CZK). Working language: french. Wants to rent small studio, furnished, available on Friday, November 11, 2016 or before: price to be discussed. SW9 LONDRA United Kingdom (UK). Excellent state or better. Habitable surface: 35 m2 or more (377 ft2). 2nd floor or better with elevator. Principal exposure: south or better. Building date: modern building or better, concierge, videophone. Heating: electricity. 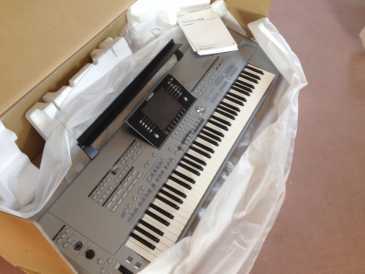 Sells new grands pianos YAMAHA, possible delivery but preliminary payment: 900 GBP (28,820 CZK) by unit. Quantity: 1,000. Proposes Medium-term and long-term jobs, 6.00 GBP (7 EUR - 47 FRF) / hour. Working language: english. Quantity: 3. Beginning date: Monday, August 01, 2016. Sells new Decoration, 100 USD by unit. Perfect state. Quantity: 1. Bathroom vanities is the thing which makes your bathroom a special one. 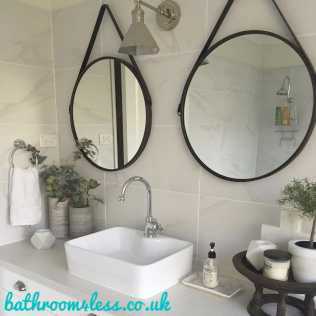 We at Bathroom4less, a UK's online leading store offers a great collection of luxurious bathroom vanities including bathroom sink cabinets, vanity tops and many at affordable prices. We offer the very best quality Locally & Internationally sourced products and we take great pride in our personal relationships with both our customers and our purveyors. We're really passionate about our every products. To know more about traditional bathroom vanities, click us.